This post is about the USSD Code to check First Bank Account number on Phone. I wrote extensively how you can send money from one bank in Nigeria to another and all banks USSD money transfer codes were also covered. Once you have the FirstBank account with a linked debit card, a phone number profiled for SMS alert and a mobile phone, you are just one dial away from enjoying the unbeatable 894 experience. For all First Bank customers, this is how to check your account number on mobile phone, simply dial *894*00# and follow the onscreen command to check your first Bank account number. NB: You must first register your number by dialling *894*0# on your mobile phone and follow the on-screen prompts. Also, you must use the phone number that you registered when opening your First account each time you want to check your first Bank account balance. Sending the balance enquiry message with any other phone number will not work. First Bank is considered one of the best banks in Nigeria when it comes to mobile banking or internet bank. With her * it has made things easier for her customers. With First USSD code, you can easily check your First Bank account number on phone. 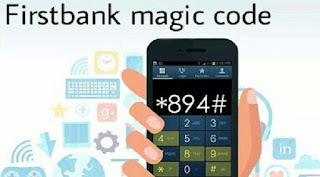 The use of USSD code to check First bank account number on Mobile phone has really made mobile banking very easier and many banks now have mobile banking apps that even makes internet banking less stressful. This means you don’t have to queue at the ATM point to check your bank account number when you can now do same at the comfort of your mobile phone. So let’s go straight to how you can check your First Bank account number on your mobile phone. Please what if the phone number i use in opening the account they did not use to sent me alert again what should i do in this case? checking code for the account number on first bank is not working. Nice post but how about getting diamond bank transfer pin? Code to check account number is wrong. It checks account balance.